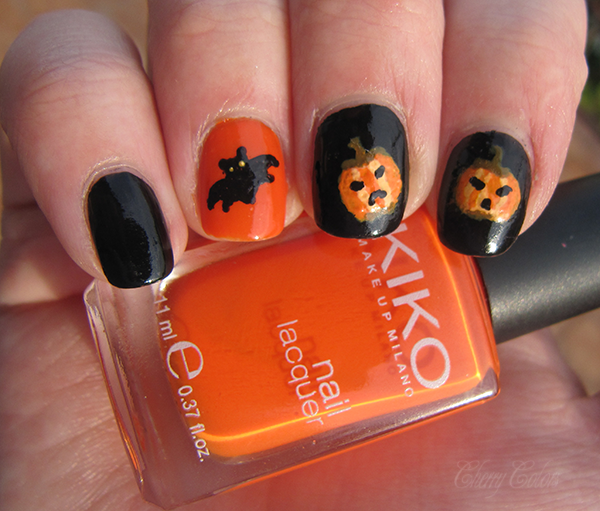 Halloween Pumpkin Nail Art - Cherry Colors - Cosmetics Heaven! Tara and I decided to do a collab in honor of this upcoming special day that we all love - Halloween. She's a dedicated nail polish lover and you should totally check her out on The Beauty of Nail Polish. Here you can see what she created. 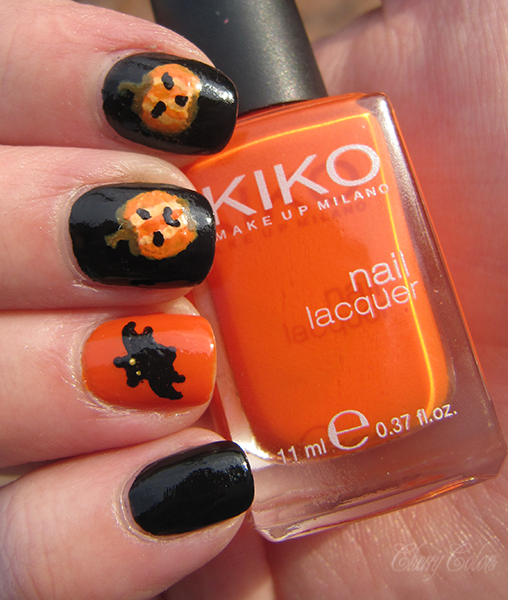 We went with a pumpkin theme because I totally wanted to do something pumpkin themed. I prepared for this manicure last week, with a different nail polish combination - black and white. But I had to re-do the base polish three days in a row before I ditched it and went with a more classic version - black and orange. In the meantime, I went to the seaside and I didn't take anything with me. Not a nail polish, or top coat or even just a brush. Nothing! And of course, my base colors chipped the same day >.<. 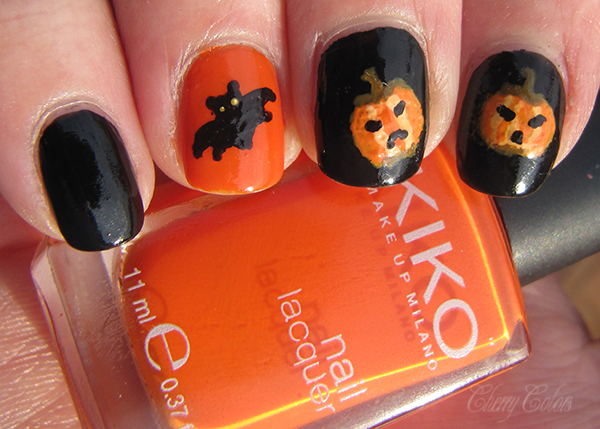 This means that I went digging in my sisters stash and she also lent me her acrylics colors for the pumpkins. The brush? There was none, I did the nail art with a toothpick. Yes, that's right. 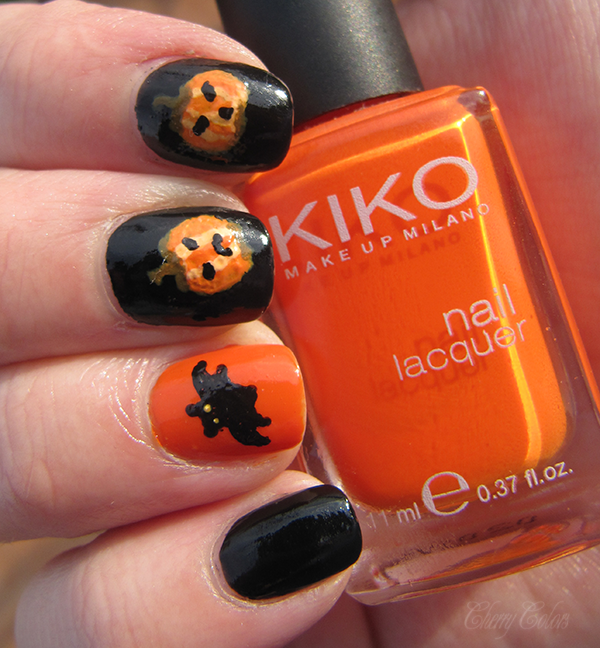 And I think it's fairly decent, ok :P.
Kiko 280 (orange) nail polish - wihch is divine!